Prospecting for Business on Facebook? You can do it! I‘ve found that a great number of businesses and people can actively promote themselves and LAND CLIENTS & CUSTOMERS on Facebook. No weird stuff – no being a salesman. It’s all about smoothness… This will be a 6 day series. 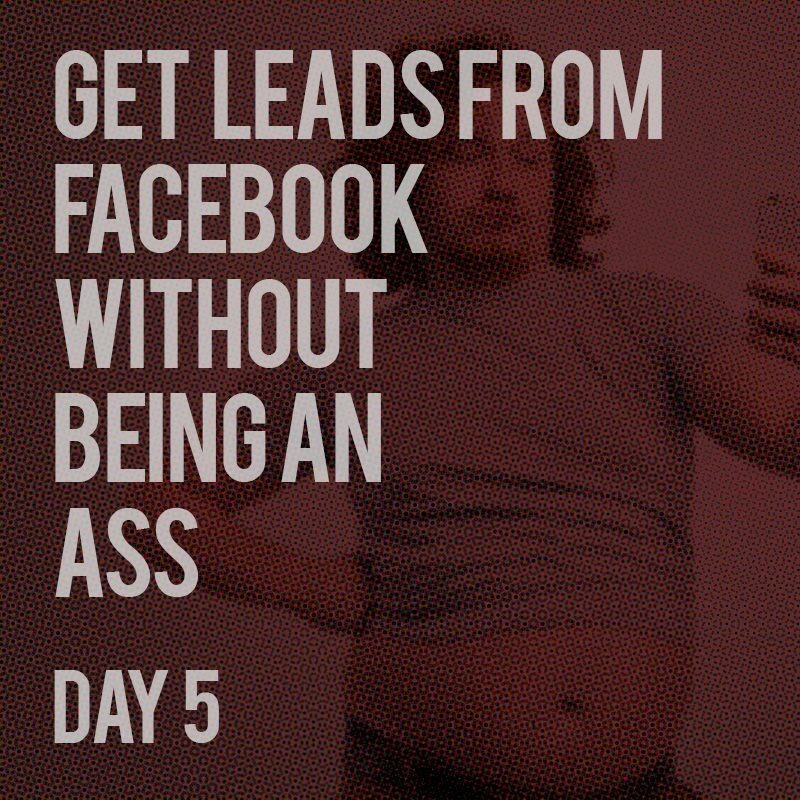 It’s a lot of stuff – but guarandamnteed to be worth the read if you want to do a little prospecting on Facebook. Now’s the time to start your own posts. You’ve developed a rapport with the group. People are starting to “recognize” you. You’re liking and commenting and adding to the conversation. The group is primed for you to start posting. You’ve spent a couple of weeks getting to this point – and you should have a good idea of the vibe and personality of the group as a whole. If you fit, it’s your turn to really start turning up the heat. Start off with smaller posts. 4-5 sentences – and with a bit of added value. DO NOT MENTION YOUR SERVICES – and for the love of all that is good and holy – do NOT post links. No YouTube videos, no links to your site. Now – ONLY POST WHAT YOU KNOW, and only do it if you’ve determined this group is really looking for what you have to say. Tips, tricks, did-you-knows, pointed or leading questions. Get fancy and try a poll. Memes can be good. Cool images, etc. You get it – keep it simple and unspammy. Offer value. You’re building your reputation as an authority on the subject and within the group. The fastest way to kill that authority is to start dropping links and spam. Don’t do this more than a couple of times a week – and do it for several weeks. Keep it slow, keep a reasonably low profile – and get ready to head into the next phase. YOU’RE AN EXPERT! SHOW IT OFF!! !